Feeling a little like downtown New York, you half expect to see Carrie Bradshaw stumbling out of one of the glamorous bars with her purchases in hand, picked up at one of various boutiques that fill the area. If you can pull yourself away from the shops on Ingram Street, you'll find a haven of restaurants and bars occupying what was the food market area for the city. Breakfast is the main meal of the day and Café Gandolfi is the best place to go. The first place I tasted Stornoway black pudding many years ago and still one of the best places for breakfast in town. Order a full breakfast, if you can manage it all, or have Eggs Hebridean. 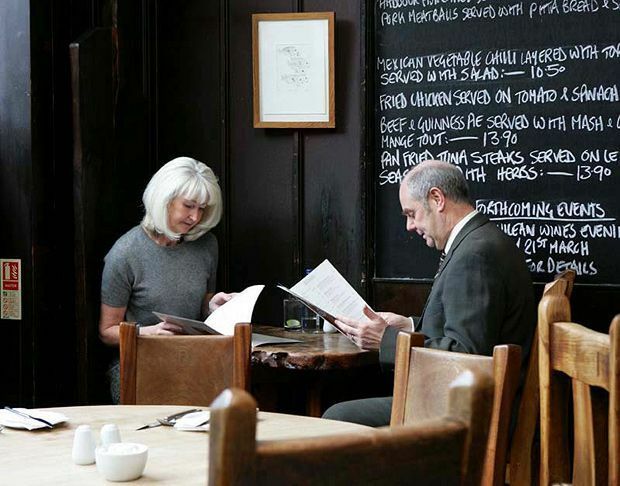 Café Gandolfi is one of the pioneers of food and drink with provenance in the Merchant City – ­fresh produce served by people who care. Another long term resident is Blackfriars, who were serving a wide array of beers well before the term ‘craft beer’ came into use. Get in quick if there’s a particular beer you want to try, as the pumps changeover quickly. Stunning 18th and 19th-century architecture surround this quarter, so take your time to see it all. You’ll see interiors such as in The Steps Bar with its veneer panelled walls, art deco styling, and stained glass window depicting the Queen Mary ocean liner. The Rogano continues this nautical deco theme – a perfect background for their famed cocktails and seafood. Architecture, food, drink and a relaxed atmosphere make the Merchant a City an ideal area for whiling away a day in all seasons. In summer there are beer gardens, try Babbity Bowster which has a real fire for winter too. You’ll also be able to cosy up against a roaring fire in Rab Ha’s. Brewdog will also soon be opening a more food­-based bar across the road from Rab Ha’s later in 2015. Emma Mykytyn writes Food and Drink Glasgow, an online magazine of food, drink and lifestyle and is on Twitter far too much as @GlasgowFoodie.